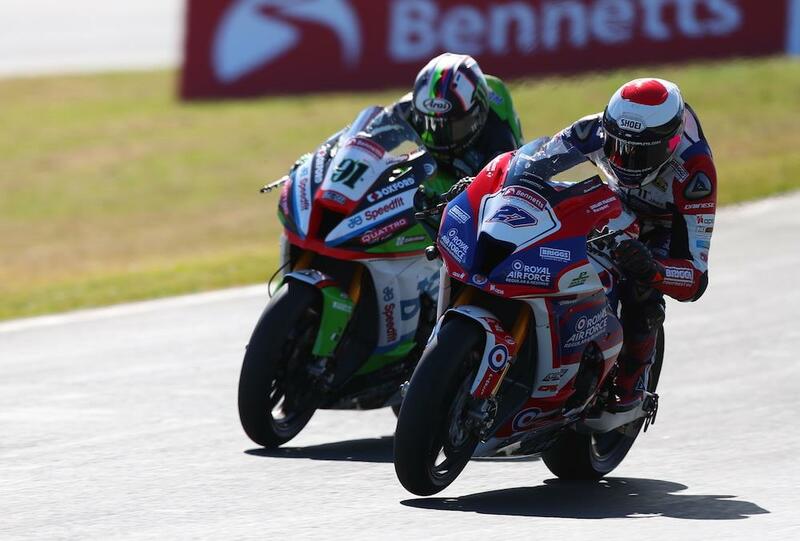 This weekend’s penultimate round of the 2018 Bennetts British Superbike championship will mark a pivotal point in the championship fight. Series leader Leon Haslam holds a healthy 31-point advantage over rival Jake Dixon, but with the young gun having decimated the field for a dominant double last time out at Oulton Park the pressure is well and truly on with five races remaining over the final two events. A strong weekend for Haslam will see him all but clinch the title. The JG Speedfit Kawasaki star could mathematically wrap it up this weekend, but that’d require a disaster for Dixon as Haslam would need to gain a whopping 45 points over his rival meaning the title fight is almost guaranteed to go to Brands Hatch next month. Make no mistake, the 2018 title is Haslam’s to lose but it’s difficult to forget just how wrong things have gone for the Pocket Rocket in recent years. Last year, he carried a 32-point advantage into the final round and left that final round third in the standings behind Shane Byrne and Josh Brookes after a troublesome first two races and a brake failure disaster in the third. Haslam is renowned for being the perennial bridesmaid and the fear that something could go wrong this year refuses to go away. That being said, Haslam has shown this year he is more than capable of beating expectations. He took wins at both Snetterton and Thruxton for the first time in his BSB career and won all three races at Silverstone, where he hadn’t even finished on the rostrum since he returned to Britain in 2016. Assen is a strong hunting ground for the WSB-bound star. Haslam has won three out of the last four races at the fast, flowing Dutch venue while Dixon struggled there last year. Dixon has already expressed a concern that the speed deficit he’s struggled with on the RAF Regular and Reserves Kawasaki this year could hamper him this weekend, so both he and the team will need to pull something out of the bag to leave the Netherlands with a realistic chance of winning the title before heading to Moto2 in 2019. Of course, it won’t just be about Haslam and Dixon this weekend. Josh Brookes has been strong at Assen in the past and he’ll be looking to see if there’s anything he can do to rescue his quickly-vanishing 2018 title chances, while a relaxed Glenn Irwin will be hoping to get the best out of the Ducati, a bike that has always gone well at Assen, safe in the knowledge that his future is secure having signed a deal with JG Speedfit Kawasaki. Irwin is the only rider confirmed for the 2019 BSB grid, meaning there’s a grid full of others who’ll be keen to put their name at the front as they look to secure a contract for next season. At present, the weather forecast is looking decent so we should be in for a cracking weekend’s racing at one of the best tracks in the world.